The GG Quad offers the kind of performance that can entertain road racers, and it's not intimidating for riders who only want to cruise. And with 95 horsepower, the GG can out-accelerate some very expensive sports cars! It has instant steering response like a race car and the suspension has the unmistakable firm-but-not-harsh response that only well-tuned high end suspension systems deliver. It's incredibly Sporty but also, It's very comfortable! Spec's for this GG Quad: Engine: --Air Cooled/Oil Cooled Boxer Twin Cylinder --Four Valves per cylinder --1130cc (R1150RT) --95 bhp@7,250 RPM --72.3 ft.lbs. @5500 RPM --6 Speed Gearbox with Reverse --4 Piston Calipers with floating rotors --Wheels are Cast Aluminum OZ Ultraleggera with 195/40 X 16 --Front and 225/35 X 17 Rear Tires --Coil over Shocks, double A arm suspension with 4" travel --4.8 Gallon Gas tank --820 lbs. --87" Long w 64" Wheelbase --4'7" Wide --Top Speed 115+ mph and 0-60 in 4.8 Seconds The GG Quad! It's a total blast to drive, easy to drive, and you can drive it comfortably for hours on end! Our passion and continued inspiration for all things automotive is evident through all of our people and our many dealer and custom services. 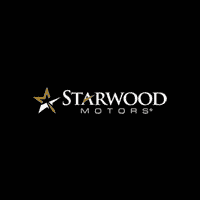 We take pride in connecting people and cars, two things we all love here... because, after all, what we're doing here is something much bigger; Starwood Motors is creating an unprecedented experience for our customers all over the world. Surprise the hell out of every customer. Yes, that is our goal! Deliver an experience to every Starwood customer, so they walk away rethinking the automotive buying experience. Whether buying one of our 200+ cars in inventory, customizing a jeep or truck, consigning your car, utilizing our full service department, financing, shipping, or having us locate your perfect car.. Clients quickly understand we have every resource to fulfill all of your automotive needs. Vehicle pricing includes all offers and incentives. Tax, Title and Tags not included in vehicle prices shown and must be paid by the purchaser. While great effort is made to ensure the accuracy of the information on this site, errors do occur so please verify information with a customer service rep. This is easily done by calling us at 214-367-5400 or by visiting us at the dealership.